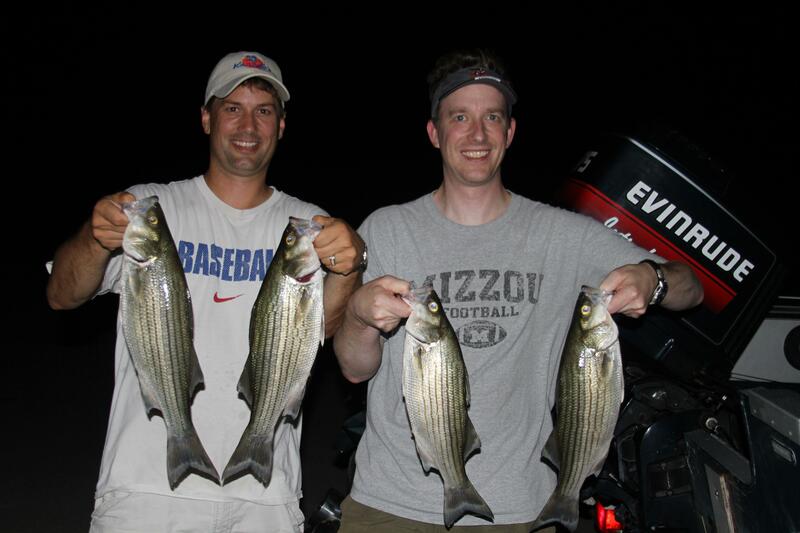 spent 3 hours this evening on Clinton Lake tonite with a couple of buddies chasing wipers. Looked for blow ups and followed the birds. Quality fish - all between 16 and 22 inches. sporadic bite, but when you found them up it was automatic. Ill try to post a pick tomorrow. Caught them all on rattle traps with a chrome / silver finish. Interests:Cooking delicious Largemouth and Smallmouth bass, Gigging, Shuffling, Snagging, Live bait fishing, carrying concealed weapons,Wakeboarding,and riding Waverunners. Nice fish. The hybrids are my favorite fish to chase. The guy on the left looks familiar. Do any turkey hunting in KS. around Lyons?